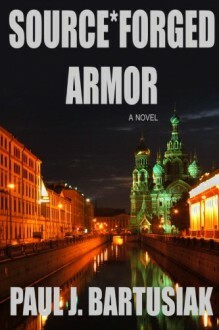 John Angstrom is a decommissioned CIA field operative, damaged goods from a mission gone awry. He is "placed" into DARPA, a branch of the Pentagon charged with maintaining the technological superiority of the U.S. military. It's a landing spot for Angstrom--a career transition--someplace safe for a man who can no longer do what he loves, and what he is trained to do. His placement coincides with a groundbreaking event in DARPA's history: the crowdsourced design of a next generation Marine Amphibious Vehicle, or MAV. Massive in scale, the effort pulls together top experts in the field and submissions from the largest defense contractors around the world. The placement also pairs Angstrom with Dr. Susan Rand, a beautiful and driven woman working as a consultant on the project. Rand is a force like no other, and Angstrom must quickly figure out her motives, because her agenda is not clear, and she wields power and influence within DARPA in a most unorthodox manner.Among all of the MAV submissions, there is something significant--something that no one can see for what it truly is--at least, not until Angstrom discovers it. His new role takes him in an unexpected direction, far outside the realm of DARPA, and leads to a new mission that will change lives forever.